Ipe’ (pronounced “e-pay”) is an extremely dense wood that grows in the tropical forests of Central and South America. The Ipe’ tree grows to 150′ in height with trunk diameters of 6′ wide. 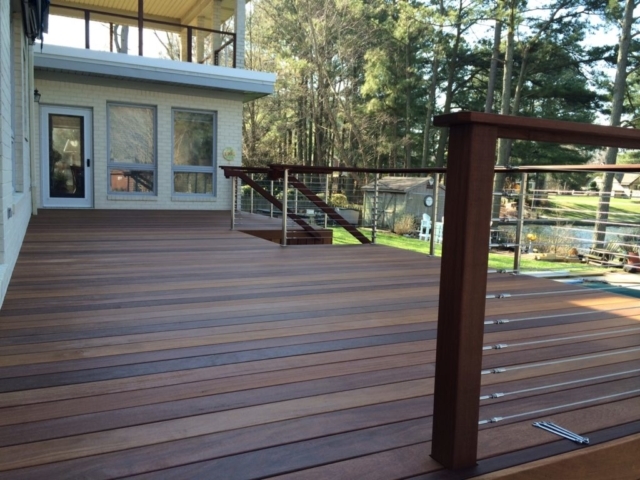 Ipe’ hardwood provides the highest durability rating (25 plus years) from the U.S. Forest Products Lab. 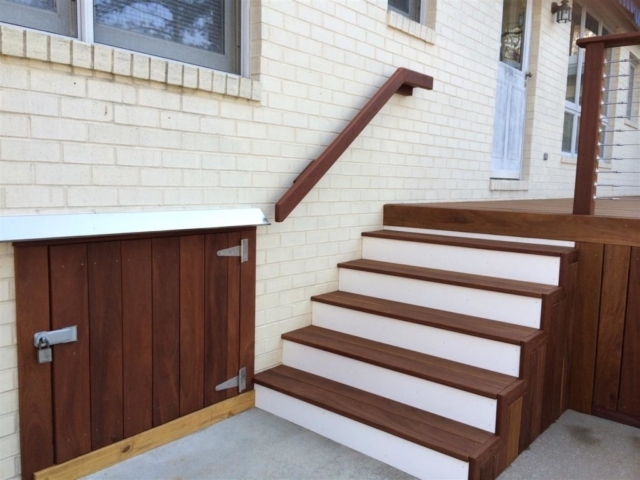 Ipe’ wood is naturally durable, and uses no chemical treatments. 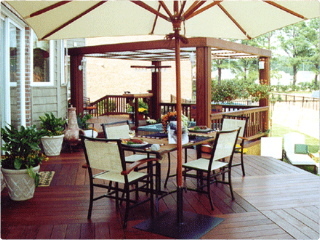 It creates a gorgeous deck that will give you unsurpassed durability and low maintenance. Ipe’s beauty is breath taking. To keep the new look, A Mezmers oil application is recommended once a year for the first 3 to 4 years to allow the oils to adsorb into the wood and protect from water penetration. This also gives the decking a luxurious dark look.